We seek and overanalyze creativity–if we could only unlock it’s code, summoning it up at a moment’s notice. IDEO, a global design company, based in Silicon Valley, believes play offers a vital role in creativity. They observed that as we get older, we tend to avoid play–especially at work. But they determined that play opens up new avenues of exploration and originality; that it leads to innovation. Interestingly, with his “Jump” series of paintings, the artist Tom McManus uses a child’s recreational device as a method for painting. 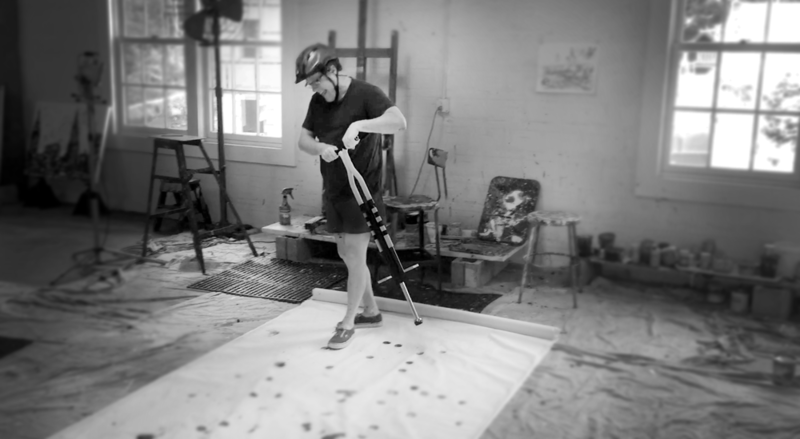 With a pogo stick dipped in black paint, he marks the canvass with black dots. 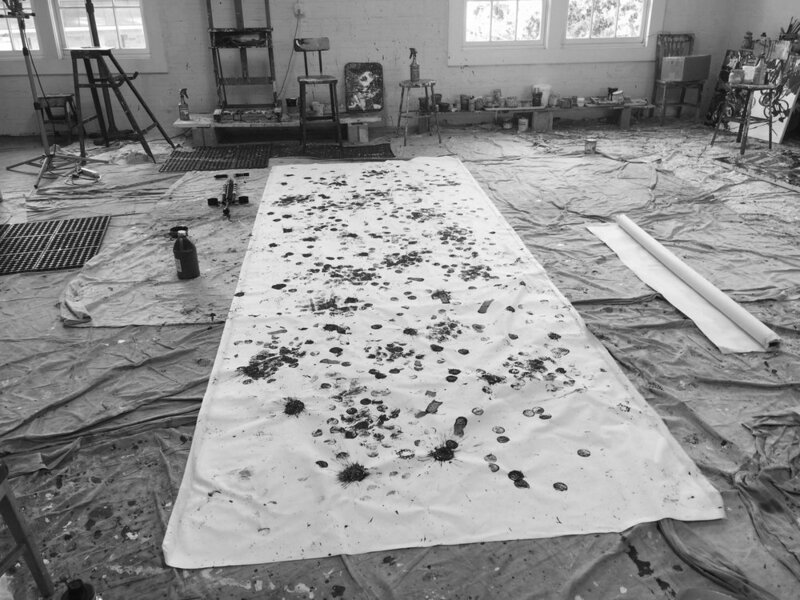 Painting is literally play, as the artist hops around the canvass. Gravity, balance, and chance determine structure and placement. Picasso once said that he spent his entire adult life trying to draw like a child. With McManus, he frees himself up with a youngster’s toy to create both amusing and spontaneous art. Whimsy meets process, providing an abstract art that goes beyond mere decoration. Moreover, it is just this sense of play that helps the artist avoid sterility and pretentiousness. You don’t look at these paintings; you witness them. Join in the fun. ← DISPATCHES FROM CRUTCH – SAILOR JERRY LIVES ON!